Another skittlete mani today. And I finally got my hands on a Picture Polish. 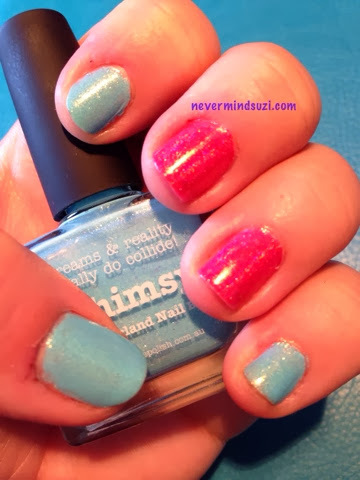 I especially wanted this one - Whimsy, because not only is it a fab colour! 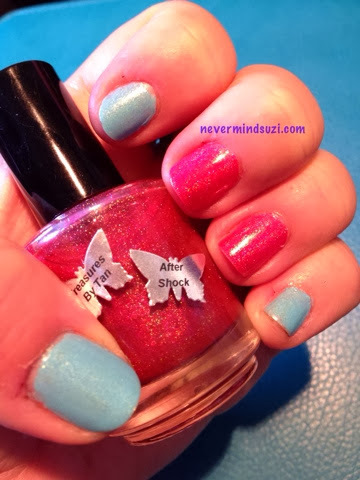 It was also a collaboration with the lovely Neverlandnailblog Nail Blog! 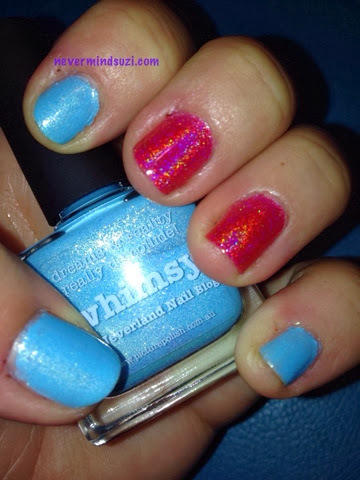 Whimsy is a minty blue with a silver shimmer/flakie through it. So bright and pretty! 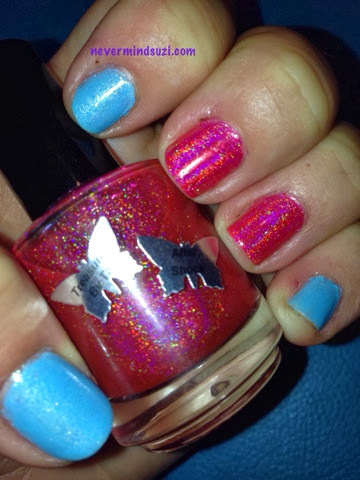 Treasures By Tan - After Shock is a stunning pink holo, which quite frankly I think speaks for itself. Look at those rainbows! !